A fierce rivalry between local communities on Saturday or Sunday afternoon. There was a distinct feeling of belonging to a tribe that came with supporting your team. 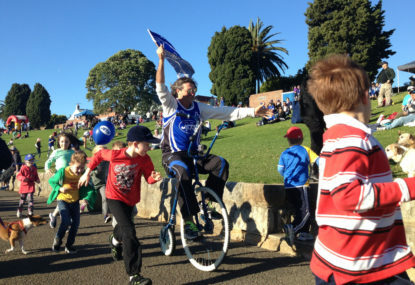 While those days shouldn’t and won’t return, the Newtown Jets provide evidence that there is some desire for an alternative rugby league experience to the NRL which to be honest is often played in a large mostly empty and soulless stadium. The Glebe Dirty Reds RLFC, a foundation club that was controversially expelled from the competition at the end of the 1929 season by the New South Wales Rugby Football League, have been resurrected by a group of enthusiastic locals. They are currently represented in the Ron Massey Cup. Given Balmain’s well documented financial struggles, resulting in a minor share at Wests Tigers and only junior representative teams carrying the famous name, this may be the rugby league tonic to renew local enthusiasm. I spoke to Glebe’s Operations Manager Darren Flynn about why they revived the famous old club. Stuart McLennan: What was the motivation for bringing back a club such as Glebe after an 87-year absence? Darren Flynn: Much of the credit for the re-birth of the club has to go to the Glebe historian, Max Solling who kept the memory of the original Dirty Reds alive. He’s lived in Glebe since 1960 and spent years talking to past players – all of whom have since passed on. His efforts to remember the characters who formed this great club largely motivated the Dirty Reds committee to revive the club so that the likes of Frank Burge, Chris McKivat and Bert Gray continue to be celebrated by the game. We also saw an opportunity to claw back some ground for rugby league in a former heartland that, in recent years, had lost ground to Aussie Rules and other sports. We’ve spent years following Newtown and Norths in the NSW Cup and admiring the job they’ve done keeping the game alive in the inner west and on the north shore. We felt there was an opportunity to build a similar community-based club here in Glebe and in the process, fly the flag for the game in the inner-city. SM: With the professionalism in rugby league these days clubs and players are more distant. Do you think rugby league fans are looking to their community again to support a team? 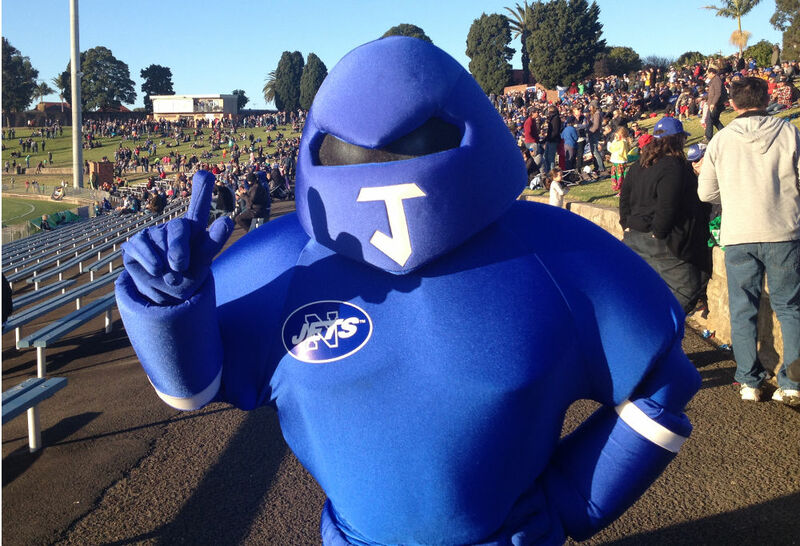 DF:I think the strong support for the Newtown Jets shows there is a real yearning for a return to the sort of football experience people enjoyed in the 70s and 80s. There’s something appealing about Saturday afternoon football played at suburban grounds, where you can take the whole family and enjoy a pie and a beer without breaking the bank. SM: Glebe and its surrounding areas have changed a lot over 87 years from working class to professionals. Is there enough local interest in the team in 2017? DF: We’ve been overwhelmed by the level of support for the return of the Dirty Reds locally. There is demographic mixture in Glebe of dyed in the wool league fans and lapsed supporters who are nevertheless interested in – and supportive of – our plans. We hope junior participation grows over the coming years. SM: You have a partnership with Concord-Burwood in the Ron Massey Cup already. How did that come about? DF: The Dirty Reds Committee worked really hard to raise enough money to field a team in one of the NSWRL semi professional competitions. We were able to do so thanks to the strong support of 99onYork (soon to be re-named Club York). Unfortunately though, we’d just missed the deadline for entry into the Sydney Shield. Coincidentally, Concord-Burwood (who were already entered into the Ron Massey Cup) had hit some financial hurdles. They approached us about a partnership. We sat down and had a chat and it just seemed like a good fit. Hopefully, we can make it a long term partnership. SM: What is your vision for the club? DF: The longer term vision is to field junior teams and a Sydney Shield side – while continuing to participate in the Ron Massey Cup joint venture with Concord Burwood. SM: You have been active with merchandise and public relations. How are sales and supporter numbers going? DF: Merchandise sales have been really strong to date. Our t shirts and jerseys are selling really well and we’re looking forward to attracting some strong crowds to our home games (venue to be announced shortly). We have four home games as part of the conditions of the joint venture. SM: Is there enough support for grassroots rugby league from the governing bodies? DF: As I mentioned the Balmain District club and junior league have been hugely supportive of our plans and the NSWRL has given us the all-clear to participate in their competition. They have made a strong effort in recent years to showcase the grassroots of the game through better promotion and broader media exposure. SM: You have a relaunch in May. Tell me about that? DF: The re-launch luncheon on Saturday May 6 will cap off the club’s revival. Phil Gould has very kindly agreed to be the keynote speaker. We’ll also hear from the author of the book on the Dirty Reds, Max Solling, who will help us induct three past players into the newly-created Glebe Dirty Reds Hall of Fame. And we’ll play the new Dennis Carnahan penned and performed team song for the very first time. It should be a fantastic day. Tickets available here.